Welcome to the Division of Arts & Humanities! The Division of Arts & Humanities at Arkansas State University-Beebe plays a vital role in the institution's unwavering commitment to "transforming lives through quality learning experiences" by providing the majority of the general education course offerings. Additionally, all departments within the division offer outstanding academic and cultural programs in which faculty and students participate for the enrichment of the entire university community. Be certain to visit the departmental webpages within the Division of Arts & Humanities. As you discover what ASUB has to offer, consider our various associate degree programs and transfer opportunities. Also, take the time to meet our professors and students, and read of their numerous activities and accomplishments. Artists have an eye for beauty, a vision for creativity, a knack for originality and use these skills to create commercial or fine art pieces in various mediums. Students at Arkansas State University - Beebe build their portfolios while developing the knowledge and skills necessary to pursue careers in art-related fields or to continue their studies at the Baccalaureate level. Students will examine the historical and philosophical tenets of the world's major religions, as well as examine the basic beliefs and values of those religions, and the human condition, spiritually. Students who study comparative religion at Arkansas State University - Beebe develop critical and objective thinking skills, become clear and effective writers and persuasive speakers, hone their organizational and analytical skills, and expand their political awareness. The Department of Education strives to meet the needs of students as they determine their future, from working at a daycare through certification or two-year degree (AAS degree), to getting their bachelor's or master's degrees. The courses offered in the field of English are designed to promote the effective use of oral and written English, to encourage selective and interpretative reading, to increase the capacity to understand and appreciate the classics, the humanities, and the fine arts, and to foster the development of personal philosophies based on time-tested truths. Students at Arkansas State University-Beebe will become clear and effective writers and persuasive speakers while preparing for transfer to a baccalaureate institution. Geography is the study of places and the relationships between people and their environments. Geographers explore both the physical properties of Earth's surface and the human societies spread across it. Students who study Geography at ASU-Beebe hone analytical and technical skills while preparing for transfer to a baccalaureate institution. A graphic design student at Arkansas State University-Beebe will develop the knowledge and skills to integrate communication and critical thinking in all spheres of design. Students will become familiar with fundamentals of design, mobile and web technology, and the user experience while preparing for transfer to a baccaluareate institution. The study of history is a window into the past which provides a better understanding of the present-day and how individuals, nations, and the global community might develop in the future. Historical study helps to explain how societies came to be and examines the cultural, political, social, and economic influences across time and space. 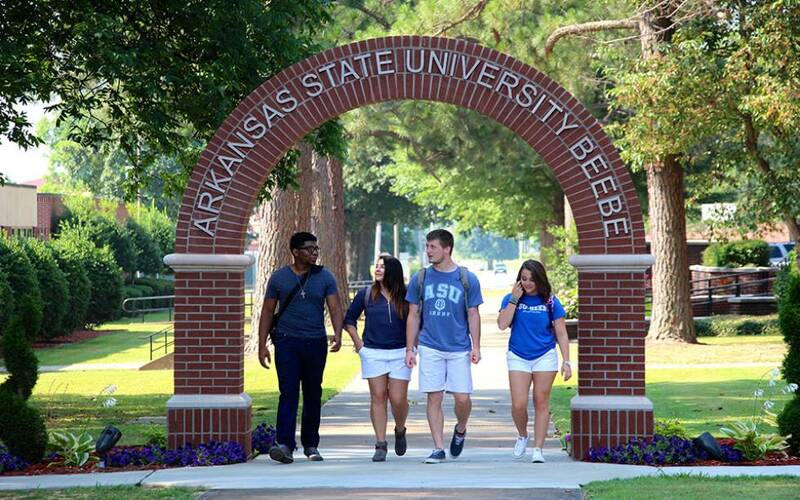 Students who study history at Arkansas State University - Beebe broaden their educational horizons while preparing for transfer to a baccalaureate institution. Music is the art of combining vocal or instrumental sound to evoke emotion, produce beauty or form, or create harmony, melody or rhythm. The music department at ASU-Beebe prepares students for lifelong careers as musicians, music educators or professionals who work in the field of music. Physical Education courses at ASU-Beebe are structured to provide quality curriculum and professional experiences for students seeking a career in PE. They also allow all students to achieve their degree requirement, as well as develop a personal wellness lifestyle while preparing for transfer to a baccalaureate institution. Political Science is the study of the systems of government, politics, political behavior and public policies. Political scientists study the stages of government, the process by which political decisions are made and the various matters that affect government behavior. Students who study Political Science at ASU-Beebe focus on political sub-fields while preparing for transfer to a baccalaureate institution. Psychologists study the human mind, exploring a variety of interesting question that explain human behavior and responses. They do research and conduct studies, make observations and help others understand, improve or modify their behaviors. The goal of the Psychology Department is to develop critical thinking skills and to prepare students for transfer to a baccalaureate institution. Founded in 1916, ROTC stands for Reserve Officer Training Corps. ROTC is a college program offered at over 1,700 colleges and universities across the United States that prepares young adults to become officers in the U.S. Military. The goal of a social worker is to help individuals, families, groups, organizations and communities to restore and enhance their capacity for social functioning. They care about their fellow citizens, want to help people improve their situations and strive to make a positive difference in people's lives. Courses in social work will familiarize students with the various roles, functions, and tasks that social workers perform in a variety of settings while preparing them for transfer to a baccalaureate institution. Sociology involves the study of human society examines the aspects of society and social behavior including cultures, social institutions, groups and more. Students will gain an understanding how both the human action and consciousness shape, and are shaped by, surrounding cultural and social structures. This indepth study will help prepare students for transfer to a baccalaureate institution. Spanish, a romance language, is the primary language of Spain, Mexico, and most countries in Central and South American and the Caribbean. It is the second most spoken language worldwide as well as in the United States. Fluency in Spanish is an invaluable tool for those living and working in the United State and abroad. Students are introduced to all aspects of foreign language study and the classroom experience will provide an appreciation and development of cultural awareness through various avenues of as students prepare for transfer to a baccalaureate institution. Practitioners of theatre arts, whether they are performing on the stage or working behind the scenes, bring stories to life through entertainment and inspiration. The Theatre program at ASU-Beebe is an all-encompassing program that embraces all aspects of theatre, including theatre performance, theatre production, and theatre management. It provides opportunities for development in a wide range of theatrical skills. These skills, in turn, enrich the student's academic, professional, and cultural life. Whether or not you seek a career in the performing arts, theatre study will provide opportunity for students to develop presentation skills and cultural awareness applicable to a variety of career paths. This is a new production designed to exhibit the creative accomplishments of students throughout the many disciplines in the Arts & Humanities Division. Artists, literary story tellers, photographers and sculptors. Check out the first edition of Uncharted !